Laird Brown’s early years in Toronto Canada were rich in Celtic culture, Highland and S.C.D. dancing. In the mid 70’s he was part of a children’s R.S.C.D.S Demo team. They performed at the Canadian National Exhibition with the “Road to the Isles Variety Show” and local Highland Games. Laird started on piano first, noodles on the accordion, sang, and then latterly focused on French Horn for a number of years. In 1982 The Toronto Mendelssohn Choir held open auditions and Laird was privileged to be asked to join the choir. Over the next 10 years, acting, singing, and playing with local theatre groups would keep Laird busy. In 1992 Laird’s dad Bobby Brown (1942-2011) and leader of the “Scottish Accent Band” would ask him to join the band on a full time basis, as the 2nd accordionist. Over the next 20 years the band would produce over a dozen Albums/Cds, perform on “Take the floor” BBC, record Book 12 for the society, and travel the world playing SCD Workshops and Classes. In 2011 “Scotch Mist” was born. Laird leads a group of Canada’s finest traditional musicians. “Mist” has produced 2 CD’s “Coast to Coast” & “Around the World”, and was featured twice on the B.B.C, Take the floor Since 2011 Los Angeles/New York/ Toronto/Ottawa/Kingston/Windsor all shared 50th Anniversary years and Scotch Mist was the featured band. ELKE BAKER (Glenelg, MD), is a veteran dance musician and concert performer. Since her first Scottish dance class in college, she has made Scottish dance music a central focus of her playing, and is a regular at major Scottish dance events across North America and around the world. She's a former U.S. National Scottish Fiddle Champion, Washington Conservatory of Music faculty member, Artist-in-Residence at Montgomery College, and Arts Panelist at Harvard University, and has performed at top venues such as the Kennedy Center, Hylton Performing Arts Center, and the Birchmere. She teaches the joys of Scottish music to countless students, through private lessons, the Potomac Valley Scottish Fiddle Club, which she has taught for 25 years, and at many fiddle camps including Boston Harbor, Swannanoa, and Ohio Scottish Arts School. She has recorded several SCD albums and a good number of listening albums, and is comfortable playing a wide range of styles, from classical and Early Music to American old time to Vintage Ragtime. Playing Scottish music for dancers is one of her very favorite things, although dancing runs a close second. LIZ DONALDSON (Bethesda, MD) plays piano and accordion. Liz is a recent recipient of the RSCDS Scroll of Honor for her work in support of Scottish Country Dancing! She is known for her innovative back-up style incorporating exciting rhythms, textures, and harmony lines in her music. In addition to playing for Scottish, English and American contra dances, Liz teaches all these styles, and dances, too! She is a member of Terpsichore, Waverley Station, and The New Hip Trio. Her recordings include: Caledonian Muse, Terpsichore, Scottish Dance Music, Waverley Station: First Stop! Memories of Scottish Weekend ('98) and More Memories of Scottish Weekend ('02), as well as English Echoes: English Country Dance Favorites. Liz has two books of Scottish tune medleys and collections of her own compositions: Rain in the Desert and Moon over Inverness. Liz has taught and played at numerous dance weekends and music workshops including Scottish Weekend, Pinewoods, and Asilomar. Her travels have taken her to Great Britain, Canada, France and Japan. DAN EMERY (Fort Washington, PA) has been the designated piper at Scottish Weekend since the first session at Buffalo Gap in 1989. He has been the piper at Pinewoods Scottish sessions many times since 1986, where he got his first taste of piping for RSCDS. As well as the Highland pipes, Dan plays the Scottish small pipes, Border pipes and flute with the band Thistle House. 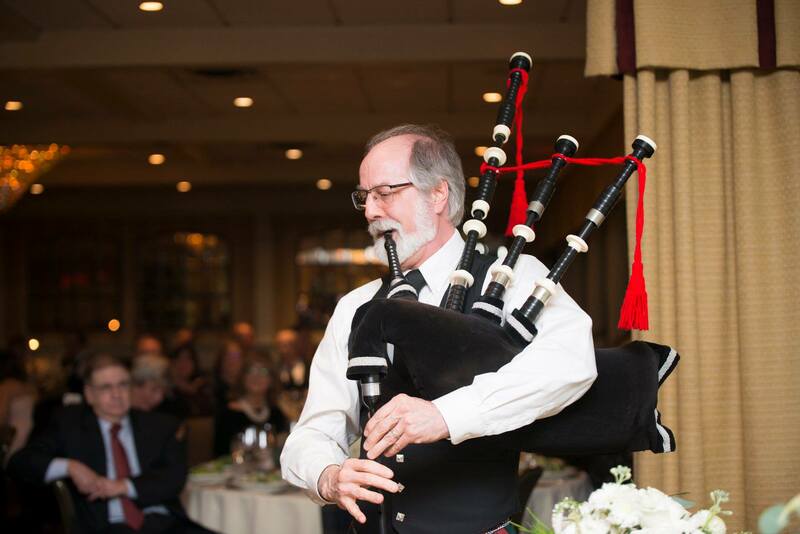 He can also be heard playing all those instruments (and occasionally fiddle) at socials and parties around the Delaware valley. When not piping, Dan is a fine Scottish country dancer, retired highland dancer. RALPH GORDON (Charlestown, WV) is a classically trained bassist and cellist educated at West Virginia University and the Manhattan School of Music. Ralph has played for more than 25 years with Terpsichore and has worked extensively on revitalizing Scottish folk cello style. He played for many years with innovative folk band Trapezoid, and his skills span a wide range of musical styles from chamber music to big band swing. The Charleston Post Courier wrote "His playing is more sophisticated and technically accomplished than the next ten string players of any sort and he uses his instruments to subtly ground, stabilize, and inspire the rest of the ensemble as they pursue their experimentations." Ralph is in great demand in the Washington, DC area as an artist and session musician. He can be heard on more than 60 recordings, including Scottish, English country, contradance, hoedown, folk, bluegrass, klezmer, blues, swing, jazz combos, and big band styles. TERRY TRAUB (Boston, Massachusetts). 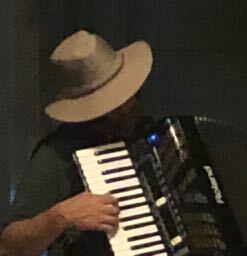 Terry Traub is a folk musician and bandleader who plays piano, violin, accordion, and mandolin and has been known to pick up the trumpet on occasion. Over the past twenty-five years he has performed all over the United States and abroad in Taiwan, Japan, Scotland, Hungary, and Canada. 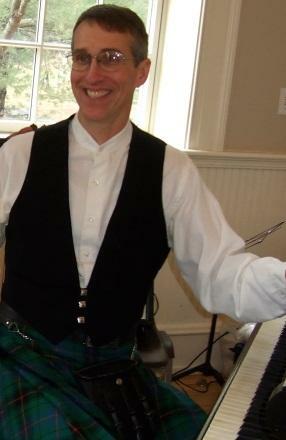 He has been on the music staff at Pinewoods Camp in Massachusetts for many years and has performed at Scottish dance events all over the country. Knowledgeable in many styles including American, Celtic, Klezmer and eastern European folk music, he has a special love for the music of Scotland and Cape Breton, and has accompanied such well known fiddlers as Buddy MacMaster, John Campbell, Raymond Ellis, Jerry Holland, and Joe Cormier. JUDI NICOLSON (Katy, Texas) Scottish fiddler Judi Nicolson is a consummate performer, her dynamic fiddling, engaging stage presence, and deep understanding of Scotland's music has created a demand for her solo appearances, concerts and dances throughout the UK and Americas with a variety of groups. Although classically trained from an early age, her passion was to play Traditional Scottish Fiddle Music. By the age of fifteen, she had won three major Open Scottish Fiddle Championships. Judi went on to play throughout the UK both as a soloist and with some of the finest Scottish Dance Bands. Over the years, she has recorded numerous sessions for Radio, appeared on television and in Theatre. Judi moved to Shetland in 1989 and married accordionist, Ian Nicolson. She was Musical Archivist for the Shetland Musical Heritage Trust and is a Trustee, her main task was transcribing the late Dr. Tom Andersons music. During her time in Shetland she taught traditional fiddle music in schools throughout the Island. 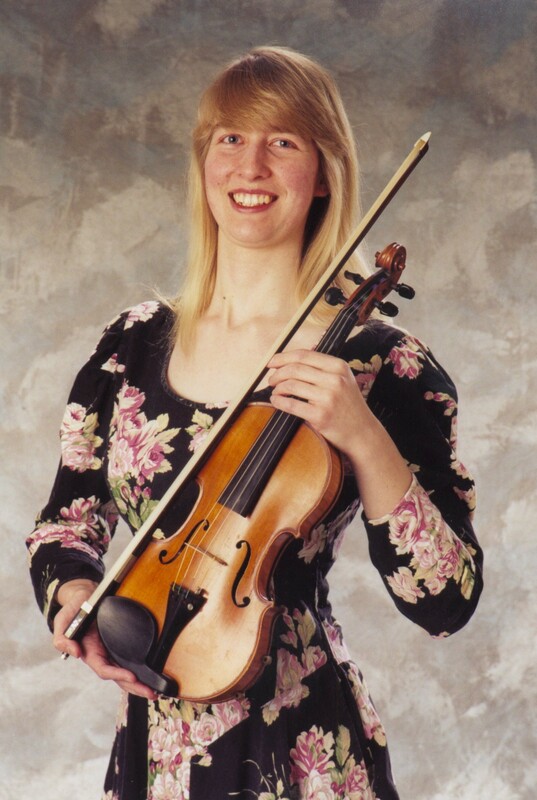 After moving with her family to Aberdeenshire in 2004 Judi qualified as a violin teacher teaching both classical and traditional fiddle in Scotland. In Summer 2008 Judi, husband Ian and their two children relocated to Katy, Texas where Judi continues to teach students, plays for Concerts, Ceilidhs, Scottish Country dances, workshops, and RSCDS- Royal Scottish Country Dance Society Ball’s throughout the US and Canada. 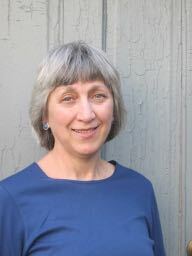 Judi has been a musician for TAC Summer School multiple times and a musician for Adelaide Winter School, Australia. In January 2017, Judi launched her new CD ‘FiddleMyStyle’ along with fellow musicians Kathy Fraser Collins (Piano and Accordion), Fred Collins (Drums) and Rob Wolanski (Double Bass and Guitar). She has previously recorded 2 solo albums and 14 albums with a variety of great musicians. ‘Waves of Sound’, a book of her compositions was published in 2002, and a second book ‘FiddleMyStyle’ was published in 2018. She continues to have a busy and exciting musical year ahead having been appointed as Music Director for Boston Harbor Fiddle School. 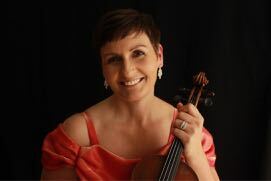 She is playing at numerous RSCDS events throughout the United States and Canada, also returning to Australia for the 2019 Melbourne Winter School. Marty has been a staple dance musician in the Baltimore-DC community for more than 40 years. She plays for reenactment events from the 17th through the early 20th century, and for American contradance, English and Scottish country dance, and vintage and couples dancing. Her breathtaking whistle and recorder playing lifts dancers off the floor; her concertina playing adds souls and drive. You can hear her on the "Memories of Scottish Weekend" CD. Marty plays in the bands Devine Comedy, Taylor Among the Devils, and Tea and Lace. 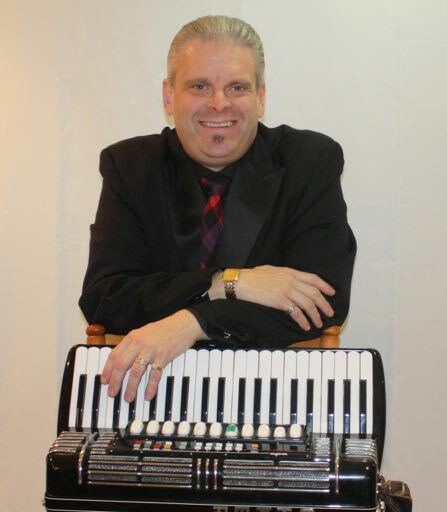 DAVE WIESLER, Music Director (Newark, DE) has been playing for Scottish country dancing since 1993, dancing it since 1995, and on staff at Scottish Weekend every year since 1996. Dave is highly regarded for his deep knowledge and spirited piano playing of Scottish dance music, and he now performs regularly with his band Thistle House and with fiddlers Hanneke Cassel and Mara Shea, among others. He has played at concerts and dance and music camps across the country, and his music has taken him to Hawaii, Canada, England, Scotland and the Galapagos Islands. He appears on nearly 20 recordings, many featuring his own compositions. He is also a capable guitarist and singer, a writer of silly ceilidh songs, and a stay-home dad of two young boys.